Navigating tweenhood can be difficult! Girls are faced with some of the most demanding challenges of their lives, when they start deciding who to be. • perceptive of theirs and others self-confidence. At this age, habits such as eating, dressing, and new and different behaviours become more relevant. A study done by The McCreary Centre Society in BC states that 60% of girls who were too thin, thought they were too fat. Another study shows that an undue focus on outward appearance impairs girls’ ability to focus and concentrate. If girls have a negative body image, they are less likely to be physically active. and can lead to poor academic achievement. • Girls who start exercising at a young age are likely to have well developed brains. • It reduces the rates of teenage pregnancy, smoking, drop-outs and obesity. • It fosters skills valued by the labour market. • Regular exercise improves the physiology necessary for learning. CAN RUN A 5KM RUN!" "GIRLS ARE AMAZING AND HAVE THE POWER TO CHANGE THE WORLD." 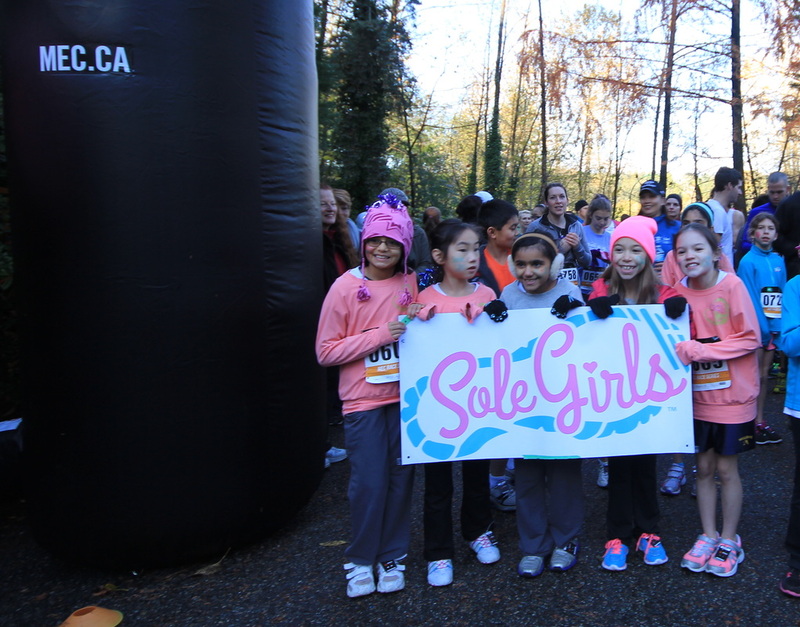 "I'M THANKFUL FOR SOLE GIRLS AND HOW WE CAN COME TOGETHER AND CELEBRATE OURSELVES!" I WANT TO EXPRESS MYSELF!"